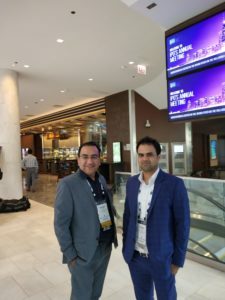 Ranjan Narula, Managing Partner and Daleep Kumar, Associate Partner attended 2018 IPO Annual Meeting held in Chicago. The attendees included several legal practitioners from international law firms and corporate houses. Along with networking platform and concurrent committee meetings, many stimulating sessions were held during the event covering the international law and practice issues related to trademarks, patent, copyright, domain names, trade secrets, IP Licensing, etc. These sessions were quite useful and informative.